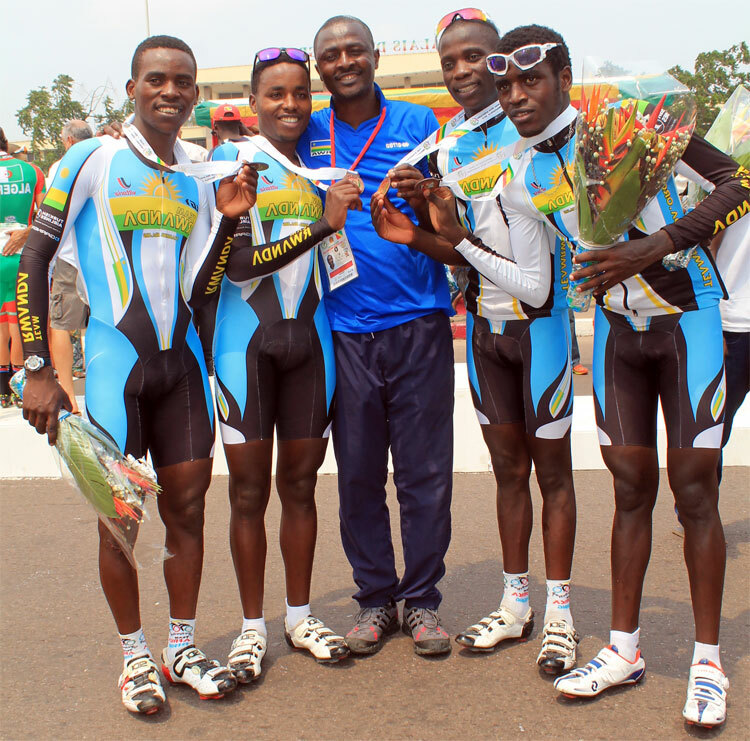 Team Rwanda riders won the first medal for Rwanda in the 2015 All Africa Games in Brazzaville, Congo in the men’s Team Time Trial on Thursday. Four riders including Hadi Janvier,Ndayisenga Valens,Nsengimana Bosco and Araruya Joseph powered their way to a bronze medal behind South Africa and Algeria. Competition will resume for Team Rwanda riders tomorrow with individual time trial events.Hadi Janvier and Ndayisenga Valens will compete in the men ITT category and Girubuntu Jeanne d’Arc in the women ITT category.